How Can Disease be Caught Earlier? 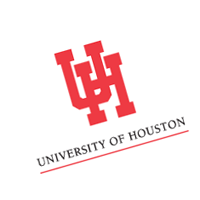 Your contributions will support the continued research of Dr. Richard Willson, of the University of Houston, is developing to provide earlier detection of diseases, when they are easier to treat. Donations will fund the necessary $65K/year required for each project. If disease is caught earlier, we can make strides in detection and treatment; join Dr. Willson in making that dream a reality. Ovarian and other cancers all too commonly are diagnosed at late stages, and many other diseases and conditions are hard to diagnose. When disease is caught late, it is difficult for medical interventions to restore health for a patient, and often leads to premature death. However, often clinicians lack the tools to identify and diagnose disease early. Dr. Richard Willson, Professor of Chemical and Biomolecular Engineering at the University of Houston, is interested in catching disease before it’s too late in order to reduce suffering and save money while improving patient outcomes. The simple devices he and his team have developed will enable diagnostics in the home, rural clinics, low-resource settings, or in military and emergency environments. Therefore, with improved diagnostics that are affordable, effective, and accessible, Dr. Willson’s research will impact the lives of patients in the United States and internationally. Primarily, Dr. Willson works on simple point-of-care cellphone-based diagnostics that target diseases affecting people all over the world each year including, chlamydia, dengue, and chikungunya. Additionally, he and his team are working on monitoring SLE lupus flares and personal wellness monitoring such as stress levels. Like a pregnancy test, Dr. Willson’s technology is simple, cheap, and ubiquitous and relies upon a multidisciplinary team to develop diagnostics that can be used by physicians. Lastly, new nanotechnology in early stages of development aims to detect cancer and cancer relapse. With formal affiliations with Baylor and Houston Methodist Research Institutes, two of the preeminent research institutions in the world, his nano-scale biosensors can be used in hospital labs around the country! Detecting Cancer: Dr. Willson’s research is at the forefront of development for sensitive diagnostics of cancer biomarkers. With a vision of detecting cancer earlier than ever before, his technology is a product of close collaboration with clinicians that believe in its potential. Current projects include developing nano technology to reduce invasiveness in detecting T Cell Lymphoma which is especially challenging for small children. Portable Tests: Dr. Willson’s lateral flow assays operate much like a pregnancy test and are therefore simple, affordable, and easy to use. Using a cell phone attachment, this technology will allow users to see a quantitative reading giving them nearly instant results about their health status. In addition to diagnosing dengue, chlamydia, and chikungunya, this technology may also help to measure stress levels, food allergies, lupus flares, or environmental contaminants. Dr. Richard Willson comes from a family of chemists; his father is a chemical engineer and his grandfather was a chemist. In fact, even further back in the ancestral tree, Dr. Willson’s family were working within chemistry without even knowing it - they ran a brewery before prohibition. As a child, Dr. Willson remembers going to both his grandfather’s and father’s labs. His grandfather even gave him his very first microscope, which he still has to this day. 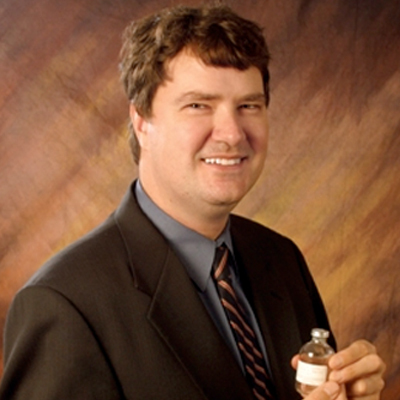 After considering medical school, Dr. Willson decided he would prefer to work within chemistry, a natural pathway given his familial history, and make medical devices that could have a strong impact on a greater number of patients. Much of Dr. Willson’s excitement out of the lab surrounds time spent with his family. In fact, his role as a scientist has already impacted his young daughter who has a “lab” in her room and his older son, who is a biochemist! Additionally, he has always been active in Boy Scouts and YMCA Adventure Princesses programs that allow him to get out in the natural world with his children. Whether fishing, hiking, or exploring their own backyard, Dr. Willson stays active in mind and spirit.